It is very important for the students who want to pursue their higher studies in universities, particularly in the countries such as USA, UK, Australia, Europe and China to get vaccinated before join their campus. The health and safety of the students is one of the top priorities of these universities. These universities make much effort to ensure that it is as proactive as possible at enhancing the health and well-being of the community. While the Vaccination Requirement alone is unable to stop outbreaks, medical evidence shows that higher levels of vaccination among a population lead to greater protection and less severe symptoms should an outbreak occur. 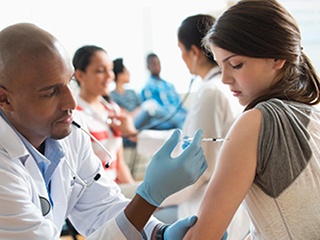 These universities have selected the required vaccines based on the recommendations of the Centers for Disease Control and Prevention (CDC). The CDC and the Advisory Committee on Immunization Practices (ACIP) set the dosing schedules which are based on medical evidence. All new students are required to complete the Vaccination Requirement. A new student is any student who has never been enrolled at and attended any of these universities. This includes undergraduate, graduate and professional students. Students who are not in compliance may not be able to attend classes for future semesters until they reach compliance for their Vaccination Requirement(s). It is mandatory for all the educational institutes to complete the Vaccination Requirement of their students. These vaccinations are much cheaper in India than these countries, so it is better to get vaccinated in India before going abroad for the studies. All of these vaccinations are available from many health providers, only concern is to check best health provider that understand these universities norms and complete all the process accordingly. Fayth clinic, Mumbai provides best vaccination facilities in India.The clinic believes in providing quality work at economic cost.